Truck accidents happen all too often on the roads of Chattanooga, Tennessee and the surrounding areas. If you ever find yourself involved in a truck accident, whether you suffer a minor or severe injury, you should keep a personal injury journal. Keeping a journal of all your injuries, pain, and medical treatment can help when you go to file a lawsuit against the at-fault driver in the accident. Today, we will discuss the benefits of keeping a personal injury journal after a truck accident. 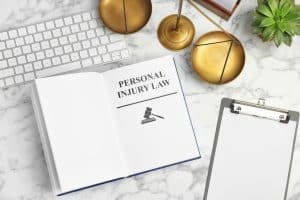 What is a personal injury journal? This is any document, typed or handwritten, that keeps all of the information related to your accident and subsequent injuries caused by a truck. Victims of truck accidents often suffer devastating injuries, which is why it’s best to keep a record of your day-to-day experiences. The journal will be used by your personal injury attorney to help prove the extent of your injuries in a court or during settlement discussions. It can explain and track your medical treatment, pain, and status on a daily basis until you have improved significantly. You need to be honest in your journal entries and as detailed as possible. If you are experiencing a day with less pain than normal, make sure you document this. If it’s too difficult to get out of bed the next day, write this in the journal. You also need to vividly describe your pain and injuries. Don’t simply write that your head and neck hurt. Explain that you have trouble around bright light or sound. The more details you provide, the more likely it is that you will secure compensation from your claim. 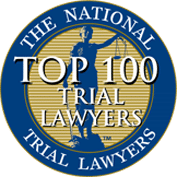 When you are as descriptive as possible in the journal, it can make it incredibly clear to a jury, a judge, or a mediator during settlement negotiations how much you’ve suffered from the truck accident injuries. When you combine a personal injury journal with records of lost wages, medical expenses, and any other monetary losses from the accident, you will increase the chances that your claim will be successful, and you will be compensated for the damages incurred. 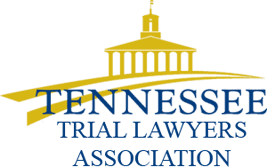 Were you injured in a truck accident in Georgia or Tennessee? If so, it’s vital that you write down as much as possible about the injuries you suffered and the level of pain you are suffering. Call the office of Wagner & Wagner at 423-799-3532 to schedule a free consultation with our personal injury team or complete the contact form found on the website. 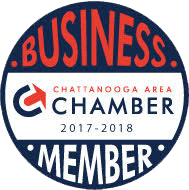 Wagner & Wagner serves Chattanooga, Cleveland and the surrounding communities in Tennessee and Georgia.